If you are already on facebook, log in and type “QuiltTrends” into the search box in the upper right hand corner, like you’re looking for a friends’ page. QuiltTrends will be at the top of the list, and there’s a place to click called “become a fan”. That’s all there is to it! 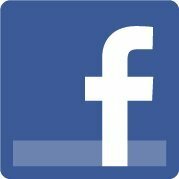 If you are not on facebook, go to “www.facebook.com” and create a page for yourself. It really is very easy, you don’t have to be a young computer geek to do it. They WANT you to sign up, and they make it very easy. Wonder if it’s safe? Don’t let just anyone be a friend and you’re OK. Oh, and don’t say bad things about your boss, etc! Want to check out the QT page on facebook? Click on the facebook logo on the top of this page—voila! It’s that easy! Click HERE to go to QuiltTrends PAGE, and LIKE us! Click HERE to go to QuiltTrends GROUP, QT QuTees, and ask to join!